So today I am bumbling round our local supermarket (Waitrose – “Ooh get me being so lah-di-da”, but no. They are our closest) looking for routine supplies and I stumble across shelves full of empty jars. Anyway, in the ‘home cookery’ section with numerous shaped biscuit cutters, muffin cases and the like.All in pretty polka dots and pastel shades. 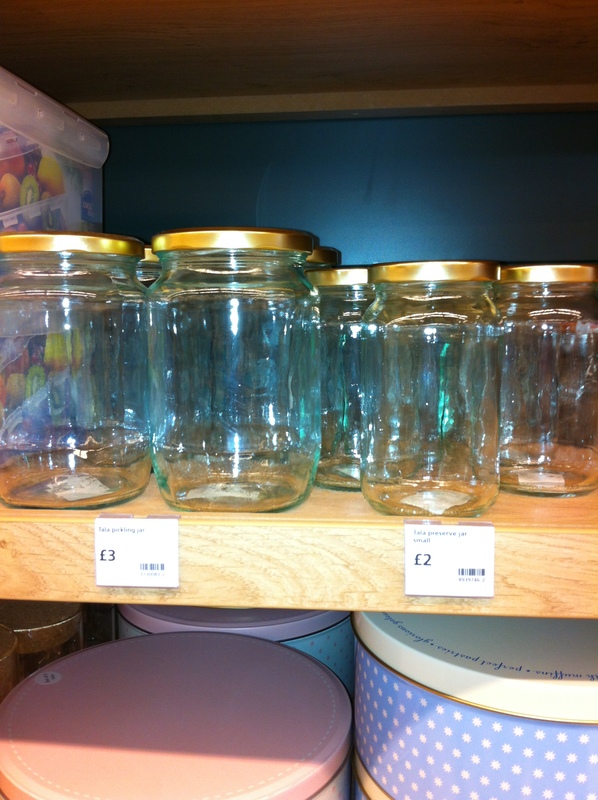 And these empty jars will be for the jam-makers. But not the ordinary jam makers like my husband who has made jam year in year out from his home grown blackberries. No, presumably these are the “I want to be a retro housewife/goddess/but most of all a fabulous Mummy” jam makers and the ” I don’t care how much money I throw at it as long as I can post a pretty pic on Pinterest of my gingham topped, hand labelled jars and impress everyone so much they want to punch me.” jam makers. These empty, unadorned, stand alone standard screw top jars (made by Tala the icing people who no doubt think they are on to a good thing) are £2 or £3 each. Each. Yes each. 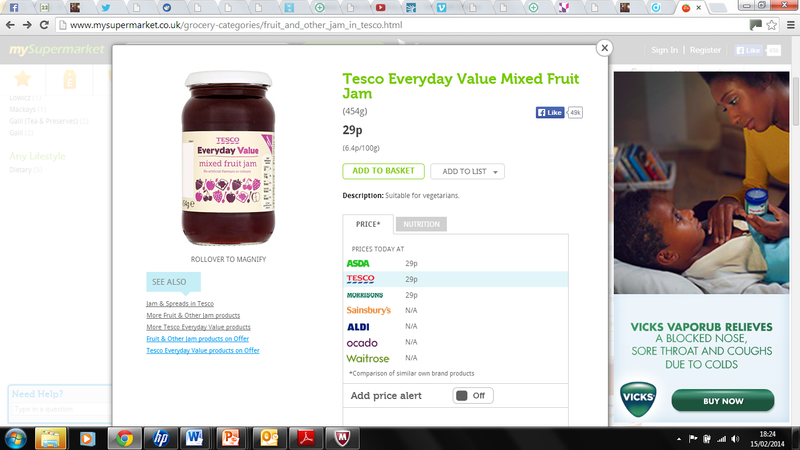 I was so taken aback I actually plodded to jams to find the standard own label jam comes in at 95p. 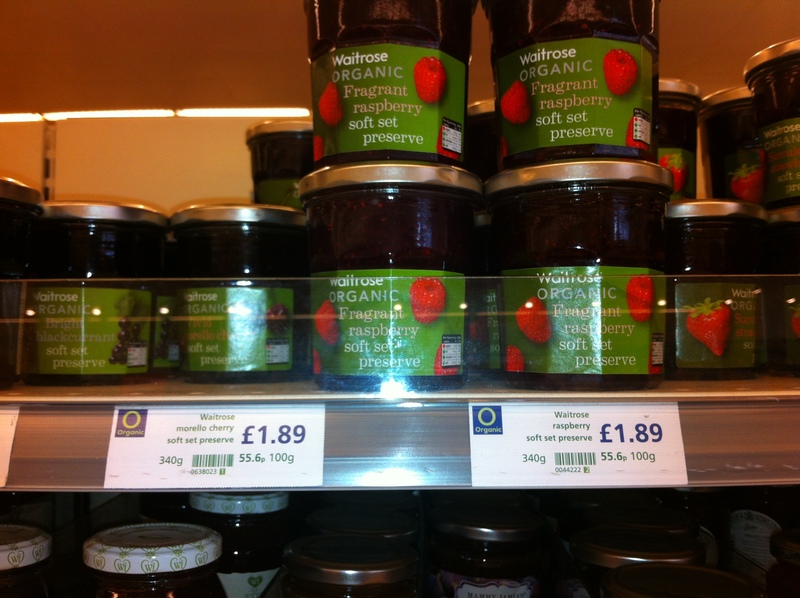 Even organic with a fancy quasi french look to it comes in at less than £2 and you get the jam in it already! And remember. This is Waitrose – Tesco do one for 29p. 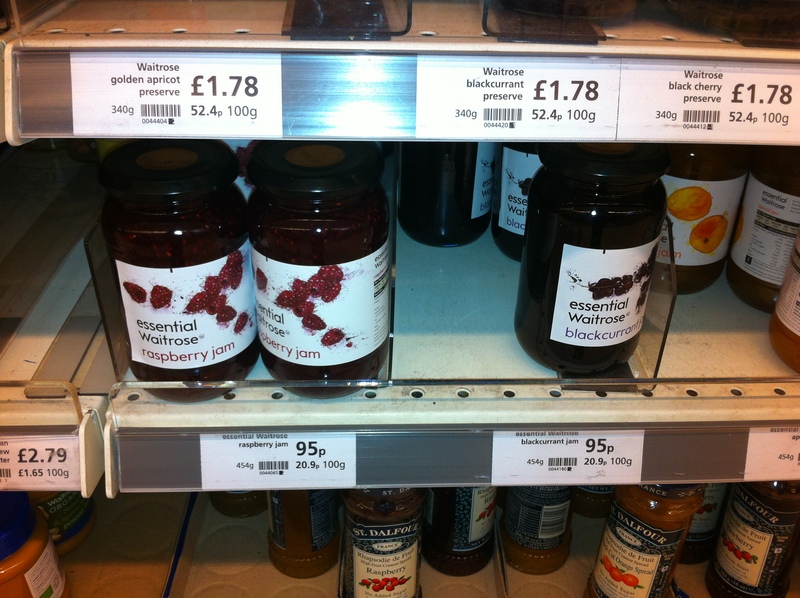 Why wouldn’t you just buy the jam and give away the contents rather than pay a premium for an empty jar? Some people astound me.